As they say, teamwork makes the dream work. With so many new partnerships already announced and we’re proud to announce yet another one – PayPie. PayPie is a blockchain-powered credit risk assessment company, making them perfectly aligned with our goals. This exciting new partnership will no doubt help increase the value of DEB tokens. We are sharing a press release with our community. VANCOUVER, Canada, February 9, 2018 – PayPie and Debitum Network announced today that the business credit risk assessment powered by blockchain technology provided by PayPie will be adopted by Debitum Network as its dedicated blockchain-based risk score provider for business loans exclusively for businesses in North America. 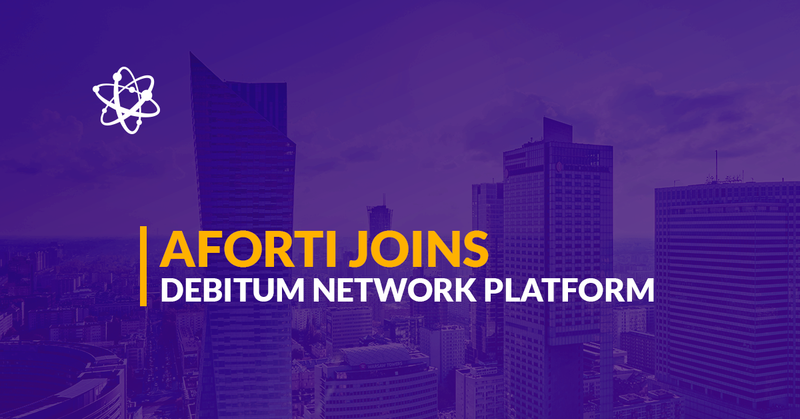 The partnership will involve joint efforts toward developing an integration between the platforms so Debitum Network users can directly access the PayPie scores from within the platform for greater convenience. PayPie PPP tokens will be needed for accessing the platform’s credit score, so PayPie and Debitum will agree on initially exchanging PPP tokens for Debitum DEB tokens to seed user adoption. Afterwards, PPP tokens should be directly used by Debitum users or by the Debitum platform for accessing the PayPie credit score and make it directly available through the platform. For that purpose, the Debitum Network may implement DEB to PPP exchange (automatic or manual) while any specific technical solution and integration will be designed on a later stage of the partnership. PayPie will have exclusive rights as being the only blockchain company to provide credit risk assessment and scores to Debitum and to its users and businesses in North America, while Debitum will retain the rights to provide credit risk data from other non-blockchain companies in addition to PayPie’s. “Developing partnerships with fintech organizations such as Debitum is something that PayPie will constantly pursue as win-win synergies. 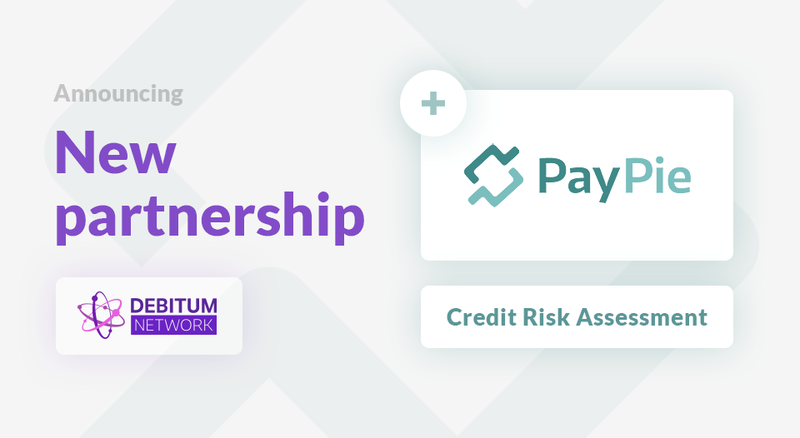 Debitum users will be rewarded with the most accurate and up-to-date credit risk assessment available on the market through PayPie’s scores based on near real-time accounting data, while the PayPie platform will keep expanding its reach through new markets and audiences to solidify its unique value proposition. Interested parties are always welcome to reach us for the real business use cases in the credit industry”, said PayPie’s CMO, Yohan Varella. The PayPie platform brings ultimate trust and transparency to the business lending by introducing the world’s first blockchain powered credit risk assessment based on business accounting. The platform challenges Experian, Equifax, and TransUnion’s status quo by assessing businesses credit risk profiles through a built-in algorithm that accounts 150 data points from near real-time financial data hashed on the Ethereum blockchain, hence building a faster, safer, and smart contract-powered credit scoring for banks, lenders, and financial institutions. Furthermore, the platform will introduce its own invoice factoring marketplace in which SMEs and invoices will be rated by PayPie’s unique credit risk score for a trustworthy decision system. PayPie has launched its conceptual Alpha version in January 2018 and has scheduled to launch its Beta version at any time before the end of April 2018. The Debitum Network is an ecosystem for various SME loans in a decentralized manner that allows organizations and individuals to distribute available capital in SME loans. Debitum offers a hybrid solution – companies’ financing will be executed in fiat – and the platform aims to create a truly decentralized network via motivated communities so it can become a living ecosystem rather than just a mix of individual organizations trying to deal service in a pragmatic approach which works in the real life. Debitum has scheduled to launch its first version on blockchain by September 2018.